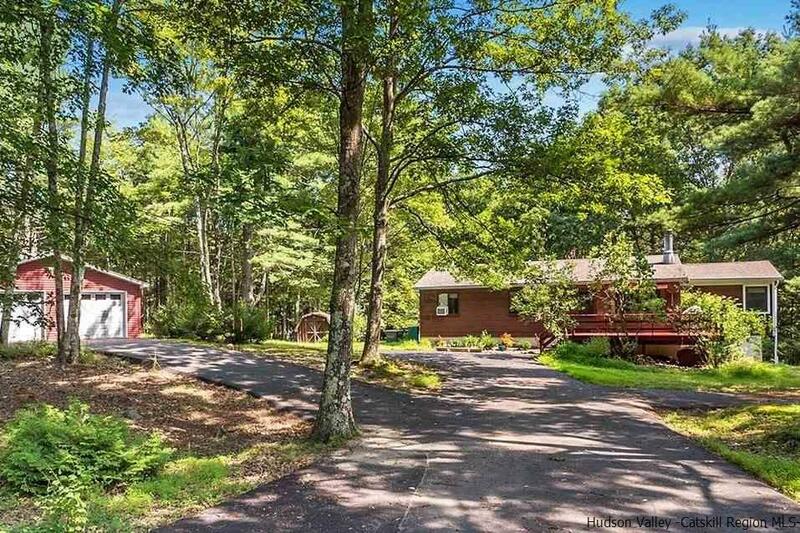 This mid-century ranch has a great feeling of privacy yet is also accessible & affordable. Balancing a light, open living area with a more private BR wing, it's a perfect weekend retreat or full time home! Step out of the kitchen onto the back deck and relax with your morning drink or pick up a growler from nearby Arrowood Farm-Brewery and invite friends and family for dinner with a view of the woods, beautiful stone walls and seasonal stream. The changing sounds and sights of the natural world will keep you refreshed and in awe throughout the year. Eating is definitely celebrated here in the Rondout Valley with much local produce in nearby restaurants, beer pubs, farm stands & farmers markets. To compensate for calories climb the Gunks, hike or bike at the Preserve, fish the lakes and streams, and find the local swimming holes for a quick dip. Selling Office: K Fortuna Realty, Inc.